The technology of the future that will allow for a more eco-friendly relationship with our environment is rapidly approaching. In order to better understand the impact of these technologies, we have outlined them into two distinct areas: saving at home, and saving on the road. It was reported that there has been a 44% increase in primary energy consumption across the globe over the past 16 years (statista.com). As such, we are not likely going to make a drastic departure from our behavior of having high-powered homes and frequent use of transportation. 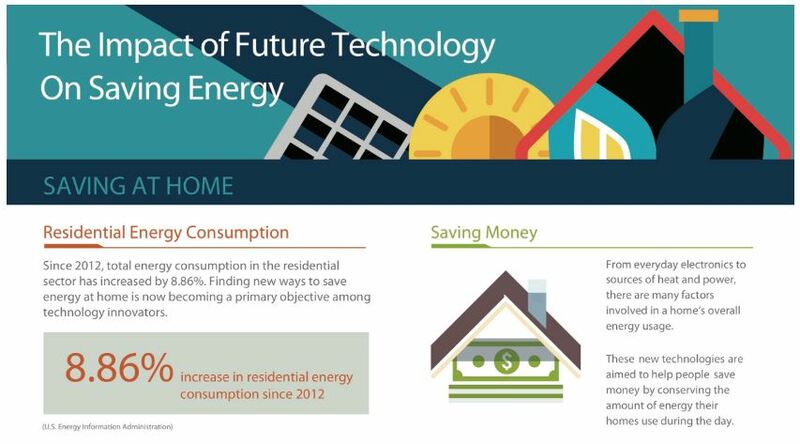 These technologies will allow us to curb energy usage without having to alter our accustomed style of living. From everyday electronics to sources of heat and power, there are many factors involved in a home’s overall energy usage. These new technologies are aimed at helping people save money by conserving the amount of energy their homes use during the day. Tesla Powerwall replaces your primary energy, saving you up to $500 a year. A self-programming smart thermostat builds your temperature preferences into a schedule, allows for smartphone integration, and provides monthly savings reports. In 2015, the transportation sector of the United States, alone, consumed 15,981 Trillion BTUs. This sector is behind only the industrial sector (18,212 Trillion BTUs) in total energy consumption. A major factor in the transportation sector is the energy used to power cars and highways. 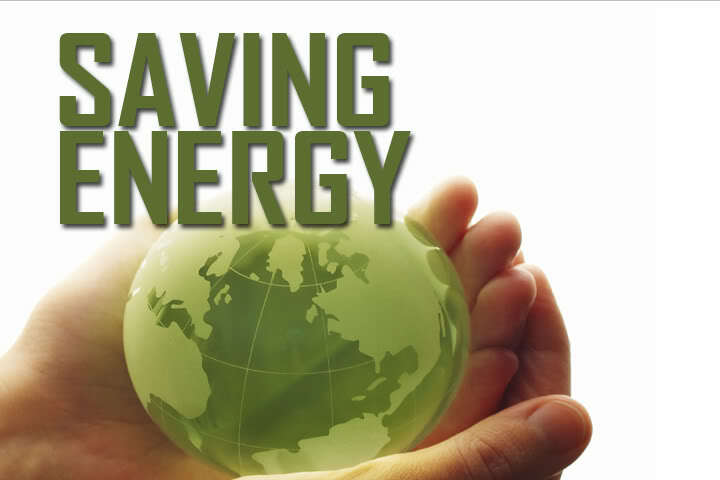 Finding new ways to save energy in this sector will be imperative to conserving natural resources and avoiding waste and high energy costs. The following technologies are being developed to curb energy usage among drivers and highway technology. Equipped with built-in LED lights, solar roadways were commissioned by the Federal Highway Administration to create a clean source of renewable energy. These roadways use solar panels and highway technology with 18.5% efficiency. The panels are designed to last a minimum of 20 years and can withstand up to 250,000 pounds. These roadway panels are built to withstand temperatures of up to 257 degrees Fahrenheit, and melt snow and ice on contact, preventing roadway accidents. Glow in the dark road markings use lines made of glow-in-the-dark paint to illuminate the roads at night. Currently being implemented in the Netherlands, these road markings can glow for 10 hours and allow for the removal of street lamps along the road. Electric priority lanes charge cars while on-the-go by using embedded magnets. These lanes are currently being tested in Germany and help to increase the duration of electric batteries for a longer driving time on the road. Motion-sensor road lights light up when cars approach, and fade as traffic clears.